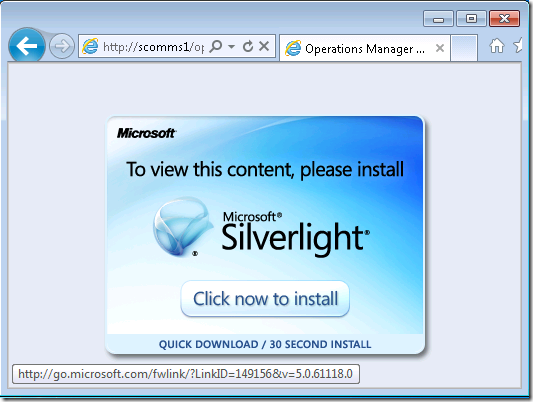 I have worked with a few customers that are annoyed with the user configuration required to use the new Silverlight SCOM web console. 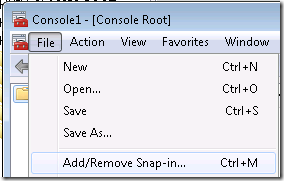 The web console is often used for one-off application owners or IT staff that are not regularly using SCOM. It was is a great way to give these users quick access to view the SCOM console so they can get more information about an alert they have received. 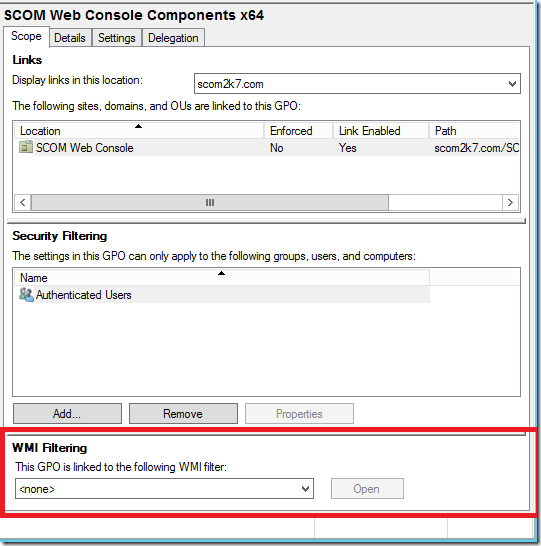 SCOM 2012 has extra steps that an end user has to take to get the web console to work. 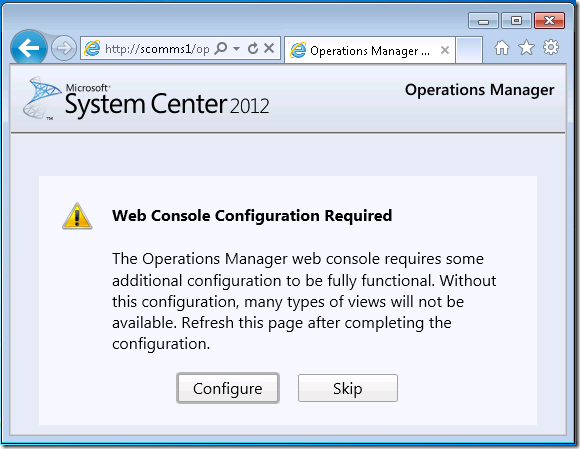 Users see the “Web Console Configuration Required” screen and are often confused as to what do to. To fix this we can automate the configuration process. This will remove the configuration screens and the end user can access the SCOM web console easily. Here are my sample GPOs with instructions on how to install them. The instructions below will walk you through creating your own GPOs to automate the process. There are multiple ways to automate this install. I recommend creating a SCCM package or login script to push the install out to the clients that need it. To do an unattended installed, the command(s) you need. 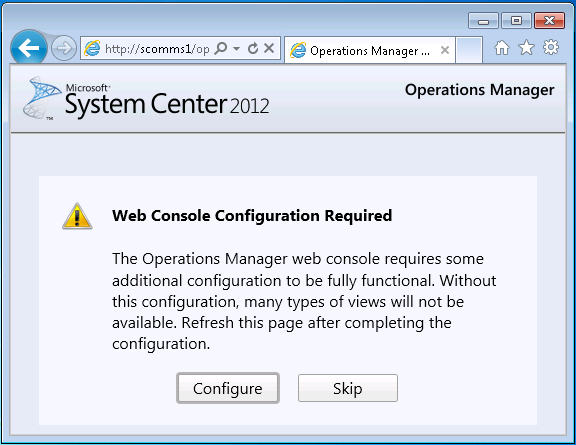 My next challenge is the Web Console Configuration Required screen. This is the screen that throws off end users as they think the web console is not working and something need to be configured on the backend. 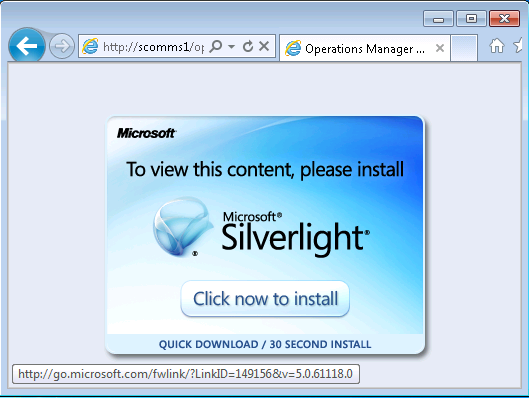 First I click configure and download the SilverlightClientConfiguration.exe. I run the tool once. The tool does two things. Creates a certificate and creates a registry key. 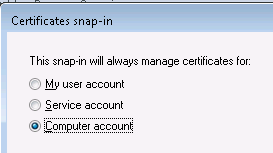 Now I need to export the client certificate. I right click on the Microsoft Code Signing PCA certificate and export it. I pick a location to save the file and Finish. 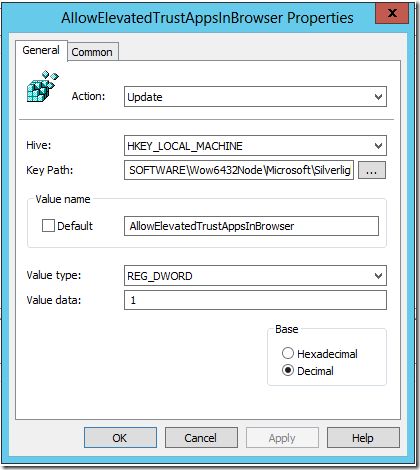 If you know how to add the cert and registry key into AD you can stop reading here. I will go though the process for anyone who doesn’t know how. 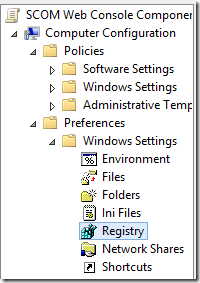 To automate the install of the client certificate and registry keys I will use Active Directory Group Policy Objects. I right click on the OU I created and choose Create a GPO in this domain, and link it here.. I call the GPO SCOM Web Console Components x64. I will need two GPOs. One for 32-bit machines and one for 64-bit machines. I then right click on the GPO and edit it. I go back to the same policies I created earlier and edit them. I create a New, Registry Item. 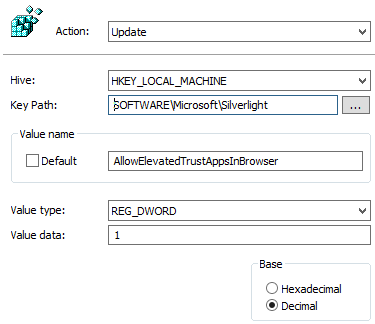 I repeat the process for the 32-bit one but I add this registry key. 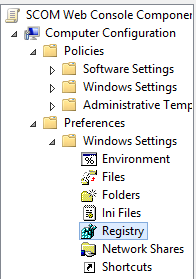 I go back into my Group Policy Management console. Under WMI Filters I right click and select New.. I call the first one 64-Bit Systems. For the Description I use the same. I click add. 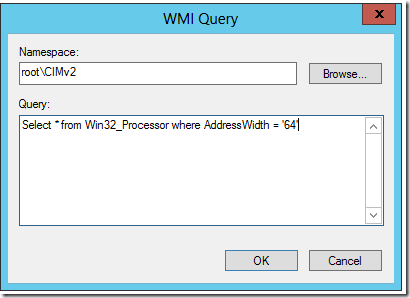 Then I Add this query. I click OK and it looks like this. I click Save and I repeat the process for the 32-Bit Filter. 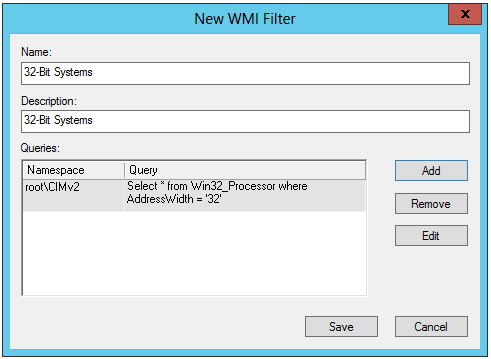 I next attach the filters to the GPOs I created earlier. I now have the filters set and I am done. Now I just add my clients to OU and they will get the new policy. 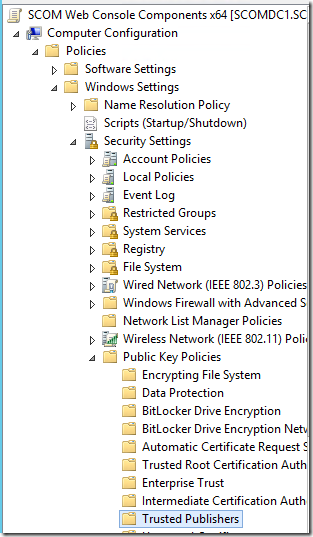 I log into one of my clients, open a command prompt and type gpupdate /force to force the group policy down. 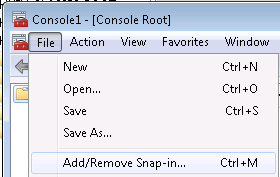 I type in the address of the SCOM 2012 web console and it works without any prompts! *Note with Windows XP SP3 I had to install the Group Policy Preference Client Side Extensions for Windows XP – http://www.microsoft.com/en-us/download/details.aspx?displaylang=en&id=3628. 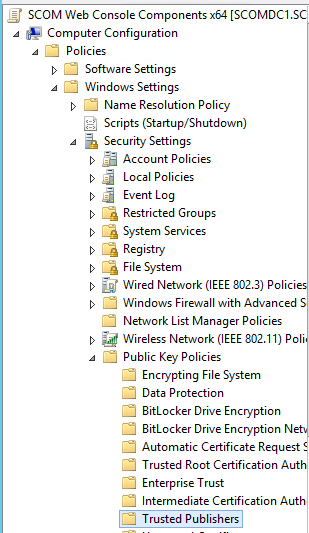 In SP3 these are supposed to be already installed but I couldn’t get the registry group policies to work without reinstalling the GPO extensions. This is really good; thanks for sharing the info! Specifically: Ensure that you do not set conflicting registry keys. 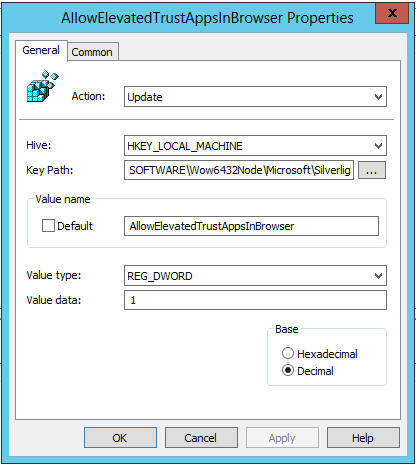 For more information, see the AllowInstallOfElevatedTrustApps and AllowLaunchOfElevatedTrustApps registry keys in Group Policy Settings. Specifically, you can disallow the installation of trusted applications without affecting their in-browser use. However, disallowing the launch of trusted applications will cause them to run in partial trust, even inside the browser. Used this today and it worked out great! 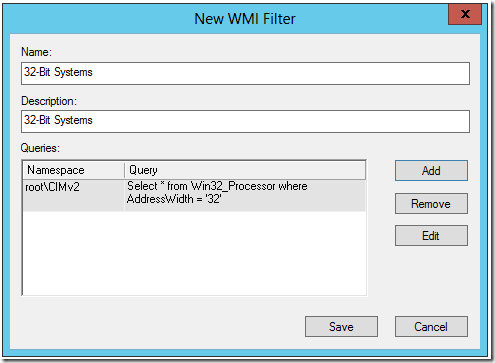 just curious why you chose to have two separate GPOs with WMI filters instead of a single GPO using item-level targeting on each registry preference. 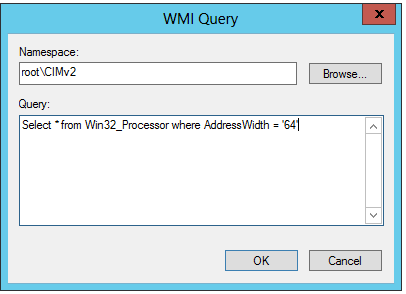 item-level targeting would let you check to see if the SOFTWARE\Wow6432Node exists in the registry, or you could still do the same wmi query. also I note that you posted this on 9/2012 and the certificate was set to expire 1/2013. 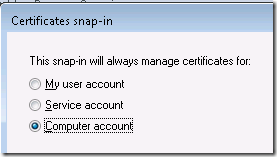 do we need to manually keep importing updated versions of that certificate into the GPO? 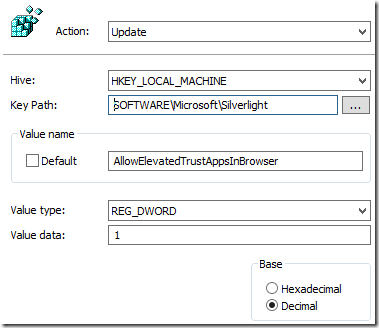 The Silverlight Web Console Configuration tool (SilverlightClientConfiguration.exe) primarily installs a registry key (HKEY_LOCAL_MACHINE\SOFTWARE\Wow6432Node\Microsoft\Silverlight), sets the AllowElevatedTrustAppsInBrowser to 1, and loads a cert under Trusted Publishers/Certificates. Since we are deploying this tool to hundreds of workstations, there does not appear to be an Add/Remove option to remove the tool. Manually is possible, but is not the preferred method, please advise. what a bunch of horshit hoops to jump through to get this to work.